Burkina Faso - "the country of honorable people"
A small irrigation project in Bama (Burkina) ! Agriculture is the main source of income for a large part of the rural population in Burkina Faso. 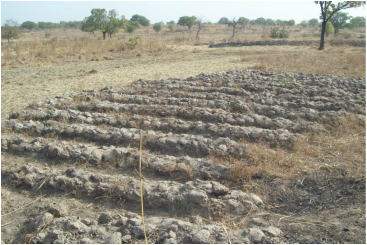 Agriculture in Burkina is particularly exposed to climate shocks (e.g. droughts). I should experiment this year (with the help of local farmers and investors I hope!) the use of drip irrigation to grow vegetables in a little field I received recently in Bama (Burkina Faso). I am member of BSI Ecoomics that is an association of young researchers in Economics and Finance. Have you ever thought of taking theater courses? Here is where you can take theater courses (in Paris region) that will help you in your everyday life, when having tremendous fun at the same time!